How to go with the flow and travel more in 2015. For many, the new year brings many resolutions to better ourselves and our lives in one way or another. Recently, I was reflecting on a simple philosophy I learned not so long ago to be open to new adventures and just go with the flow. Almost eight years ago, the movie "Yes Man" with Jim Carrey came out. The following week, an advisor said to me in casual conversation something to the point of: "Isn't that an interesting philosophy? What do you think would happen if you said "yes" to every opportunity presented in front of you – without judging it? To live life by saying "yes" to everything." I liked the idea but, my type-A personality immediately kicked in. And, I placed it in the back of my mind to analyze later. After several days of mulling over the approach, I went to test it out. I started to tip my foot into the water of saying "yes" without analysis to any small opportunity that came my way. From saying "yes" to dinner invitations, that I would normally decline, to joining friends on errands at the grocery store, etc. Everyday life started to flow more easily. Life was less complicated. And, it became a small adventure. Maybe saying "yes" without analysis had its' merits. Then several months later, a larger opportunity was presented in front of me - I panicked! 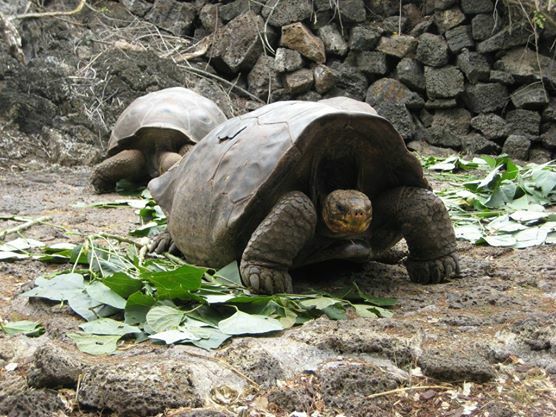 I had received an email from a friend, asking if I wanted to travel to the Galapagos for an adventure. She was to join a small group tour and one spot was left. An adventure to the Galapagos sounded like an opportunity that wouldn't come around again. But, all the responsibilities of a single, professional woman running a small business kicked in. I did not have a simple answer. I still remember that conversation in my mind. Swinging from the "yes" side of the brain to the negative voices saying: "You can't take the time off. You can't afford this right now. Who are these strangers you would be traveling with?" and much more. During those lengthy sixty seconds with the battle of my mind, a calm came over me when I remembered the lesson from Jim Carrey and my therapist. Immediately, I replied to my friend's email saying "Yes!" And, the reason was simply because I wanted to go and experience more in the world. The rest would work itself out. When I arrived in Quito, Ecuador that September around midnight going through customs, I realized none of those original doubts and worries mattered anymore. They somehow just disappeared on an airplane between two different continents. And, after two weeks exploring one of the most incredible places on earth – with ten wonderful new friends – I realized I was going to start saying yes to small group adventure travel more often. Because saying "yes" gives us a new perspective, new friends, and guides us to exactly where we need to be. I plan to continue this philosophy into 2015. And, hope you will join me. Reserve your spot with BonViage today for our small group travel tour May 2015 to Machu Picchu and the surrounding areas of Peru. For more information, visit us at www.bonviage.com. Taking travel to heart: Experiencing more in Chiang Mai, Thailand.